A teaching by His Holiness the Dalai Lama prior to a ceremony for generating the mind of enlightenment, Washington, New Jersey, May 7, 1998. Lightly edited by Sandra Smith, February 2013. I would like to extend my greeting to all of you. Yesterday when I arrived here it was raining quite a lot, but today it is quite different and pleasant. Perhaps half of you have come here partly to have a good time, for a holiday, so if you wish to stay for the whole talk or if you wish to walk around and take it easy, please do so. The teaching that is going to take place here today is preceding the ceremony for taking the generation of the mind of enlightenment and for that I will be doing some preliminary recitations including the recitation of the Heart Sutra. In the context of giving the teachings, both on the part of the person who is giving the teaching and the people who are receiving the teachings, it is very important to ensure that you have the right motivation. Therefore, for a Buddhist teaching it is very important that you take refuge in the Three Jewels and commit to the ideals of bodhicitta. So please recite the refuge formula. I have visited this place several times and also I have had the opportunity to give teachings at this place several times. When I look around here today, one thing that I notice is the change in the trees. Some of the trees have really grown; some of them have really spread their roots. So, this points out to us and reminds us of the basic principle of impermanence, the transient nature of life. This is also something that we can remember if we think about the founder of the center, the late Geshe Wangyal-la, who is no longer with us. All of these things point towards the nature of impermanence, the transient nature of life. This transient nature and the process of change that we go through, that everything goes through in time, is something that no-one and nothing can stop. This is a basic fact of reality; a basic fact of existence. Now what we do, what control we have in our hands, is how we utilize this time, which is constantly going through change. If we utilize our time for a more beneficial and positive purpose, we give our existence some kind of purpose and meaning. If we use it for destructive purposes, we create harm for ourselves and others. If we just lead a life with no mindfulness, we just completely have no sense of direction. So, the only thing that we have in our hands is how we utilize the time. So, wouldn’t it be wonderful to utilize whatever remaining time that we have in our existence, in our life, towards something that is noble and meaningful; something that is purposeful? However, leading our life in a purposeful and meaningful way does not necessarily mean we have to lead a religious life in the sense of a religious belief or with religious faith. The key or essence is to lead a life which is grounded in the principle of helping others, if possible. If not, at least refraining from harming others. So, that is the key. If we wish to create a sense of purpose, we can make our existence meaningful on the basis of a religious faith. Of course, on this planet there are so many different major world religious traditions, so we can pursue these paths through different traditions. However, it is important for the followers of these religious traditions to utilize, to implement the essential teachings of whatever religious path we are following in daily life. If we can integrate the essential teachings of the religious path that we subscribe to and follow into our day-to-day experience, then of course there will be tremendous benefit. Today, in the context here, the religious teaching that is being given is a Buddhist teaching, because this is a Buddhist center. Although many of you may already be aware of this, the key message of the Buddhist teachings is to try to seek a path to happiness and joy through a method that involves primarily bringing about discipline of the mind. This discipline of mind really brings about a transformation of the mind, which is the key path to obtaining happiness according to the Buddhist approach. From our own personal experience we know that the more conviction, the more convinced we are of the value of a particular goal that we are pursuing, the greater our commitment and the greater our desire to attain that. In some cases, the commitment to achieving that goal is so strong that even if we are tempted to be distracted or diverted, there is a check, so we can follow the path without distraction. What becomes important in this context for us here is to ensure that our wish to obtain that goal is grounded in a firm conviction, not only in the value of that goal, but also that our conviction is grounded in some personal experience and some valid reasons. The stronger it’s grounded in such valid reasons and personal experience, the more firm our commitment to that goal will be. Therefore in the context of Buddhist spirituality, the Buddhist religious path, understanding the nature of reality becomes very crucial. Given that understanding the nature of reality becomes crucial for a Buddhist religious path to achieving the goal of ultimate liberation, what becomes important for Buddhist practitioners is not to be deceived by whatever perception we have. We should not be deceived by the level of appearance. Even from our own personal experience in day-to-day living, we know that appearance does not necessarily always convey the right picture of reality. Often in our day-to-day interaction with life there is disparity or a gap between how things seem to us and how things really are. This is really the basis for the Buddhist emphasis on developing such deep understandings like the nature of the two truths. Understanding the nature of reality is crucial, and in order to arrive at such a proper understanding we need to appreciate that sometimes appearance is not the true picture of reality. Therefore, having the sensitivity to appreciate that there are different levels of reality becomes critical. The whole purpose of trying to seek a deeper understanding of the nature of reality based on the concept of the two truths is to bring about our ultimate spiritual aspiration of attaining lasting happiness and overcoming suffering, therefore, the teachings of the two truths are directly related to the Buddhist teachings of the four noble truths. Once we look at the Buddhist teachings from this kind of angle or perspective, then we really appreciate the principal significance of the Buddha’s teaching on the four noble truths at his first public ceremony. Through teaching the four noble truths, he lays down the whole foundation or framework of the entire Buddhist path to enlightenment. In the second public ceremony, the Buddha’s key teaching was the two truths. Although the two truths as a philosophical concept is something that is found not just in Buddhist teachings but also in non-Buddhist schools, it is in the teachings of the second public ceremony that we find a presentation of the highest level of understanding of the two truths. This addresses the fundamental issue at the heart of our existence as individual human beings or as sentient beings. What was the significance of the Buddha teaching the four noble truths to begin with? The significance of that is to address the fundamental issue of our existence as individual human beings or as sentient beings. At the heart of our existence is this instinctual or innate desire to seek happiness and to overcome suffering. So, sentient beings who possess these natural instincts exist. This suggests that naturally there exist sentient beings who possess this instinctual desire to seek happiness and to overcome suffering, and that really is at the basis. So the question can be raised about the nature of those sentient beings. We find a reference in one of the tantras where Buddha speaks about the beginningless and endless continuum of mind, that is said to be the ever-good or eternally good. The reference to the beginningless and endless continuum of consciousness or mind is that from the Buddhist point of view, there is nothing that exists outside the bounds of causation. Every event and every thing must come into being as result of causes and conditions. This is also true of consciousness, as it is true of the external world. In the case of a material phenomenon, not only must the object have a cause, but also there must be some substance which maintains its continuum from one instance to another. Buddhists call this a substantial cause or material cause—a cause which maintains the continuum. Similarly, in the case of consciousness—of mind or mental phenomena—there must be a continuum, and not only must there be a continuum, but also that continuum must be maintained on the basis of entities which share the same nature. A physical entity cannot become a continuum for a mental entity or mental phenomena. So it is on that basis, as far as the continuum of consciousness itself is concerned, there is nothing that can really destroy that continuum, therefore, it is also endless. However, this is not to say that every instance of consciousness or mental event is beginningless or endless. Of course, when we talk about consciousness—mind or mental phenomena—we must appreciate that there are so many different levels of subtlety and coarseness. For example, many of the gross levels of consciousness, such as our sensory experiences and many of our thought processes, are time-bound; they are contingent on that. Many of these aspects of consciousness are contingent upon specific additions, specific organs and so on. Within the continuum of consciousness, there must be something unique to consciousness, that makes the first instance and the second instance and so on possess that nature of being an experience, which is called the luminous nature. There must be something in the nature of mere experience or in the nature of mere awareness, and it is on that basis that we speak of the beginningless continuum and the endless continuum. That faculty, that quality of pure awareness or mere experience is not contingent upon any physical conditions and neither is it contingent upon any specific time, so it is from that point of view that consciousness or mind is said to be beginningless and endless. In Buddhism, when we speak about the nature of self—the person or I—that self or I is something that is designated upon the basis of this continuum of consciousness. So, just as the continuum of consciousness is said to be beginningless and endless, therefore in Buddhism, the person—the self or I—that is designated upon that continuum of consciousness is also said to be beginningless and endless. The method or means by which we can fulfill the aspirations of that self or that person which is designated upon the continuum of consciousness must come about on the basis of some transformation of that mind or consciousness. This fact is very forcefully demonstrated in the Buddhist teachings on the twelve links in the chain of dependent origination. The teachings say very explicitly that it is our fundamental ignorance that creates the whole chain that eventually makes the cycle of the twelve links. Ignorance leads to volition, volition leads to karmic consciousness and so on and so forth, so it is the fundamental ignorance that creates the whole cycle of unenlightenment. Geshe Thupten Jinpa: Sorry...Ignorance leads to suffering, unenlightenment. 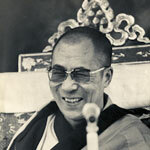 [The Dalai Lama laughs] The opposite of ignorance, which is knowledge, leads to happiness or enlightenment. 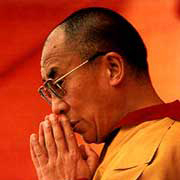 His Holiness is saying he realizes that it is not only him who sometimes uses the wrong word. 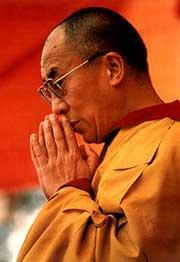 His Holiness: Using the wrong word, not only me alone, but some people also there. 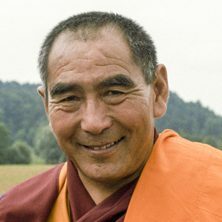 Geshe Thupten Jinpa: If you look at some of the epistemological texts, these texts speak of different fruits of valid knowledge or valid cognition, and in these texts, attainment of liberation or enlightenment is identified as the long-term fruit of cultivating knowledge or valid cognition. So what seems to be true is that if we examine this carefully, much of our experience of suffering and confusion really comes from states of mind which are ultimately deluded, and much of our experience of joy and liberation and enlightenment really comes from stages of thought or states of mind which are not deluded, which have their roots in some kind of valid experience or valid knowledge. What becomes evident through all of this discussion is the fact that even for our spiritual path, cultivating the right knowledge and insight seems to become really crucial and critical. In some sense, we are aware of this fact, because even conventionally speaking we all appreciate the value of education and knowledge. The higher the level of education of the person, the better informed that person will be to cope with the challenges of life. In some sense, we do appreciate this basic point. So we can raise the question, how does cultivating the knowledge and the insight help us eliminate fundamental ignorance? Here, when we talk about opposing forces and how one expels the other, we can use the analogy of light and darkness—illumination and darkness. The moment the illumination, the light, is switched on, the darkness is dispelled, so here we have an analogy. Similarly, when we think about the different forms of mutual exclusivity, for example, in the case of our thoughts, if we know that something is a tree or that something is not a tree. If we know that something is not a tree, then so far as our thoughts relate to that particular object of concern, we can at that very instant never have the possibility of thinking, “That is a tree.” One thought, by the simple fact of its occurrence, by definition excludes the possibility of other. There is a similar kind of relationship between ignorance on the one hand and wisdom or insight on the other. Ignorance here is not a case of mere unknowing, but rather it is an active case of perceiving things in a way that they do not exist. So when we cultivate the opposing thought, which is true knowledge or insight, given that these two thoughts oppose each other, the only difference is that insight is grounded in valid cognition. Just as we have insight that things and events do not possess some kind of independent existence, this also corresponds to the actual reality, because things do not possess an independent existence. On the other hand, fundamental ignorance misperceives things as possessing an independent existence, but this does not have any validity—it does not have any ground or any support. So, when we compare two opposing thoughts which are directly opposed to each other, whichever has the validity and whichever has the support grounded in our experience is going to be more powerful. So, it is in this way that ignorance will have to be eliminated. These reasons make it very important in Buddhism to cultivate an understanding of emptiness, and this is why emptiness becomes important in the Buddhist path. Of course, depending upon different interpretations, there are different ways of understanding what emptiness really means according to the Buddhist teachings. We understand that the emptiness as taught by Nagarjuna—where in the final analysis, emptiness is understood in terms of dependent origination—that is the highest level of understanding of the teachings on emptiness. Dependent by nature suggests that things are devoid of independent reality, or intrinsic reality. They are devoid of inner existence and identity, and this is what is meant by the Buddhist teachings on emptiness. It doesn’t mean that things do not exist. It simply means that things do not exist with some kind of independent identity or existence. So the nature of dependent origination is used as the final proof that things are empty, in the final analysis. The thought which believes in the independent, intrinsic reality of things and events is known in Buddhism as the self-grasping thought or attitude. This we know is one source of much of our confusion and much of our ignorance. We also know that there is another element which is also one of the major origins of much of our suffering and problems. We are not only grasping at some kind of true existence of things and events and also at oneself, but we also have an attachment to the self which the Buddhists call the self-cherishing thought. This is a thought which cherishes one’s own self-interest and is completely oblivious to the well-being of others. However, this is not to say that any form of self-regard is a source of suffering, because we do need a sense of self and also we do need our thoughts to have an element of self-regard. It is on the basis of a strong sense of self that we can proceed with many of the methods for attaining liberation: salvation, helping others and so on. Now there is a problem when this form of self-regard becomes extreme to the point where we are prepared to exploit others; we are prepared to totally sacrifice others’ well-being in pursuit of that self-interest. In that form of extreme self-regard, a sense of self is a powerful problem. His Holiness is making the point that if you don’t have any experience of caring for yourself, how can you even begin to care for others, because there is no real basis from which you can engage with others. How do we overcome this excessive form of self-cherishing, that is prepared to sacrifice and exploit others’ well-being? The effective way to overcome this is through cultivating thoughts that cherish the well-being of others. We can say that these two forces—the certain grasping at the self-existence of things and the self on the one hand, and also this excessive form of self-cherishing attitude —these two are said to be like two poisons that pollute from within. We could almost say that these two are poisonous trees that are growing in us. Through this we can appreciate that the essence of our spiritual path should be the practice of cultivating compassion and love, which counteracts the self-cherishing, and also the practice cultivating correct insight into emptiness—the knowledge of emptiness which counteracts the other force. These two should not only be the essence of the teaching, but the key elements of our individual practice. The day before yesterday I participated in a symposium on neuro-science and Buddhist meditation at Beth Israel Medical Center in New York. One of the speakers made a presentation where he showed an empirical study that was done, which seems to suggest quite conclusively that those people who have a tendency to use more self-reference terms, such as “I”, “me” and “mine” in a much higher proportion than the average person, have a much higher degree of self-involvement. Those people tend to have more health problems and also have much more hyper- kind of personality, and they are more prone to aggression and so on, including a much higher possibility of an earlier death. This seems to suggest that not only Buddhist meditation on selflessness and counteracting the self-cherishing thoughts through cultivation of thoughts cherishing others’ well-being; not only do these kinds of practices have the benefit of leading to Buddhist liberation, nirvana, but even within this lifetime, even in immediate terms, there seem to be visible, beneficial effects. Because of this, just before the teaching, I told one of my friends, that if this is true then maybe many of the ritual practices that are aimed toward longevity—visualizations and meditations which involves prolonging one’s life, through focusing on one’s life—perhaps these may be counterproductive because the focus is on oneself whereas the focus should be on the others. If we think carefully, it seems that the more self-involved we are, the more self-absorbed we are, thinking, “Oh yes, me, my problem, my this and my that,” it seems to have an immediate effect of narrowing our focus down to some tiny spot and reducing everything to that. It’s almost as if our vision is blurred, even to the point of being burdened, being pressed down by some heavy load. If we shift our focus from ourselves to others and think more about others’ well-being and welfare, immediately it has a liberating effect, because of that shift of focus. It gives rise to some kind of strength and also it makes us feel more expansive. Even if we are facing problems and we are aware of our own problems, somehow that very shift in the focus provides the space so the problem that seemed enormous earlier, now seems to be much more manageable. It seems to be less significant than it was before. This is the truth. Since the main actual teaching here is the generation of the mind for enlightenment you should cultivate the right attitude, which is to put the focus on others, not on oneself and spread it out, extending it to all sentient beings, if possible. For the benefit of all sentient beings, make a strong commitment that you will ensure that this altruistic mind never degenerates. This will be performed through the recitation of the preliminary practices, which will be done in Tibetan. When the recitation is being done, on your part, you should imagine that you are going through these practices of purification and accumulation of merits. I believe that a small sheet has been distributed to all of you with three verses in English. The first verse deals with taking refuge and the second verse deals with the generation of the mind of enlightenment. I believe that they are citations from one of the tantras. The wisdom of emptiness, the insight of emptiness, reinforces compassion because through the cultivation of the right insight, the wisdom of emptiness, we will gain the awareness or the knowledge that grasping at true existence is a form of delusion. Because it is a form of delusion it is something that can be corrected—it is something that can be removed or eliminated. Once you gain the conviction of the possibility of eliminating that delusion from within, then your compassion toward sentient beings who continue to be deluded, who continue to be deceived by such forms of delusion will increase ever more, because you know that there is a way out. Sentient beings continue to be chained in the cycle, so of course this true insight into emptiness will reinforce your compassion towards other sentient beings. The mind for enlightenment, or bodhicitta, is a state of mind that is altruistic and is derived on the basis of true aspirations. One aspiration is to fulfill the welfare of all other sentient beings, and the other aspiration is to seek full enlightenment for the sake of fulfilling the objective of helping others. So it is on the basis of these two wishes that we cultivate the mind that seeks full enlightenment. This is called bodhicitta or the mind of awakening. The third verse is really a verse of dedication and also an aspirational prayer. This is from Shantideva’s Guide to the Bodhisattva’s Way of Life, the Bodhicaryavatara. We will do the recitation in Tibetan and while the Tibetan recitation is being done, you should read it all together in English. I think whenever you have spare time, it would be very effective and beneficial to recite these three verses and reflect on their meaning. In that way you can experience the benefit. There is a Tibetan expression which states that the mind follows familiarity. So it is through constant familiarization and constant practice that something becomes more natural, easier and more applicable. So with that, today’s teaching is over. I would like to ask all of you to be happy. 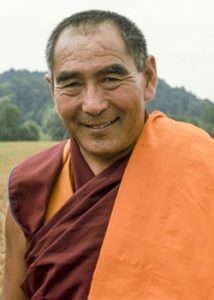 Geshe Thupten Jinpa: You may be interested to know that Tibetans have a nickname for money; it is called, “that which by which all the wishes are fulfilled.” [Laughter.] So, the Tibetan expression translates as, “that which makes everybody happy and that which makes all the wishes fulfilled”. His Holiness [in English]: So, as I mentioned before in the beginning, I think it is very, very important to be a warm-hearted person, a good-natured person, with more sense of caring for others. Ultimately, you get more happiness. So, as I think—our old friends, I think you often heard before, I’m always telling people—I myself feel that if you are going to be selfish, you should be wise-selfish rather than foolish-selfish. So I think that’s very important. If you take care more of others, ultimately you get the benefit. That’s all. Thank you very much. The text now returns to the training in conventional bodhicitta. The general meaning of bodhicitta is the determination to attain enlightenment for the sake of all sentient beings—we want to benefit others in the highest way, we see we have to attain enlightenment in order to do so, and therefore we generate bodhicitta. However, in order to make progress on the path we have to combine our bodhicitta with the realization of emptiness, and when we engage in these profound practices we often encounter hindrances. Therefore we need a method for dealing with them. By hindrances I mean adverse circumstances or difficult conditions such as getting sick, being in pain or having other things go wrong in ways that harm our mind and stop us practicing. So the discussion of hindrances on the path concerns not only how to prevent them from harming us but also how to transform and use them to enhance our progress. Insights from this particular explanation on transforming difficult situations into the path are obviously useful for the Buddhist practitioner but even a non-Buddhist can find many ideas here that will be helpful in daily life. When our world is full of pollution and negativity and we, the inhabitants, are also full of negativities and faults, we should transform all this into the path. This means transforming difficult situations into helpful ones, turning hindrances into sources of help, and thinking that those who seem to be harming us are actually helping us achieve enlightenment— seeing them as very kind, as helping us in our practice, particularly that of patience. Atisha’s teacher, Lama Serlingpa, said that difficult situations encourage us to practice because they trigger thoughts of virtue within us and provide us with the best conditions for practicing it. For example, if we discover that we have a terminal illness and have only two or three more years to live it can encourage us to do better in the short time that we have left. It can make us kinder, more generous and friendlier to our parents and family and people in general—in other words, make us practice Dharma that much more. Thus, when things go badly for us in any way, through the practice of transforming adverse circumstances into the path we can view any misfortune as a kind of miracle, like a gift from the Buddha to help us in our practice, or as a broom sweeping away our negative karma. Sometimes when people get sick they ask a lama for a divination to see what practices they should do and then they do them. In other words, their illness gets them to practice. It’s also said that suffering is a way of waking us up to reality—for example, sickness, pain or any other kind of suffering brings home to us that we are living in the first noble truth, true suffering. The second noble truth is the true origin of suffering; suffering comes from its true cause—afflictive thoughts and emotions and karma; specifically, suffering comes from the karma we create under the control of afflictive thoughts and emotions. The root of all these afflictions is the self-grasping mind, which is fundamentally mistaken with respect to its objects. It is completely wrong because the way it apprehends things to exist is the complete opposite of their reality. It apprehends objects to exist truly; the actual reality is that everything is completely empty of true existence. In this way our suffering encourages us to reflect on and develop insight into reality. It is also helpful to think that whatever suffering we’re experiencing is the result of karma we have created in the past—in a previous life, perhaps—and that that karma is ripening here, right now. It had to ripen at some time but if it had ripened in a future life it might have made things more difficult for us. For example, at the moment we have the means—money, doctors, medicine and so forth—for dealing with any illness from which we suffer; in future lives that may not be the case, so we should be happy to experience it now, under these favorable conditions. Moreover, it’s helpful to recognize that when we’re experiencing suffering we’re purifying our negative karma because once that result has ripened we won’t have to experience it again. And the best part is that this is how things actually work. We’re not just playing a trick on our mind, distracting ourselves from what’s really happening. On the contrary, it makes sense—if we’re experiencing suffering we must have created its cause and will eventually have to experience the result. Therefore it’s completely valid to think that any suffering we’re experiencing is the result of causes we created ourselves. When we engage in purifying practices such as circumambulation, offering, prostration or meditation we should not think that by doing so we’re going to avoid every little problem in this life. However, we should understand that these practices will help us to purify much of our negative karma—just not all of it. For example, it’s extremely important to meditate on love and compassion because doing so, even briefly, is a very powerful way of purifying our negative karma. But even though this is true, we can’t expect it to stop every little problem. On the contrary, we should expect to experience suffering in this life and understand that when we do we’re purifying negative karma. In other words, we purify negative karma by doing certain practices and also by experiencing suffering. Therefore, for the above reasons, it’s good to be ill. But it’s also good not to be ill, because when we’re well we’re happy and have lots of energy for practice. This is particularly important at the moment, while we have this precious human life with all its potential; when we’re well we have the energy to fully exploit it. When we’re healthy there’s little we cannot do. We can do all the physical practices, such as prostration, verbal practices, such as mantra recitation, and mental practices, such as meditation on love and compassion. There’s essentially nothing we can’t do when we’re well. Another thing that can discourage us is being poor but the commentary says that poverty should be a source of happiness. The way to realize this is to reflect on the many difficulties that rich people experience in working hard to accumulate their wealth; worrying about protecting, investing, increasing and profiting from it; and being concerned about its being stolen, losing value, diminishing and so forth. Poor people have none of these problems. If we look closely at all the fights and arguments we see around us we’ll find that they’re often over money; sometimes we see big fights over little money. Money can cause many problems. However, if we’re wealthy, we should be happy about that too. From the Dharma point of view there’s no problem in being rich because we can then make all the offerings we want—or go wherever we want on vacation! So we should also be happy to be wealthy because of the many options it gives us. We can give money to the poor, donate it to schools, hospitals, poor countries and so forth. However, the best way to use wealth is to accumulate merit because merit allows us to achieve anything. All happiness, whether short term—such as that we experience from time to time in this life—or long term—liberation and enlightenment—results from merit. Once we’ve created enough merit, there’s no happiness we can’t experience. Wealth is useful because it allows us to create such merit. Thinking like this at the time of death gives us a better chance of following a path created by merit and being reborn where we can again meet a qualified master who teaches the path to enlightenment and in that way continue following the path. Of course, if we’re ill it’s better to regain our health so that we can keep on practicing and strengthening and nourishing the imprints we’ve already created during this life. Just as seeds gradually develop when we keep adding water and nutrients to the soil in which they’re planted and will stop growing if we don’t, similarly we need to keep nurturing our karmic potential. Doing so gives us a better chance of getting the results we seek from our practice not to mention a good rebirth. I mentioned before how it can be helpful to think that when something bad happens it’s the result of karma, that this is a good way of keeping our mind happy and allowing us to cope when things go wrong. We need to understand that we cannot have everything go the way we want just because we want it or stop unpleasant things from happening just because we don’t want them to. Things don’t happen the way we want. Rather, they happen according to our karma. Furthermore, when we do face misfortune and think how this is the result of our karma we should also remember that other sentient beings similarly experience a great deal of suffering and use that recollection to inspire us to meditate on compassion. We should also think how much more suffering others are experiencing than we are. Apply meditation at every opportunity. This means that in all situations and locations, whether we’re experiencing happiness or unhappiness, we should bring that experience into our meditation and not allow it to distract us from the meditation we’re doing. As well as this we can also think that any happiness or suffering we’re experiencing is a teaching from our guru on how to practice. Whenever people criticize us, even without reason, we should think how useful it is because it subdues our mind and prevents us from getting arrogant. Moreover, it helps us identify our faults. If nobody were to ever point them out to us we’d continue to think that we were perfect. When somebody points out our faults it encourages us to rectify them. We should also be careful when things are going well—we’re making money, our relationships are working out, life is good—because at such times we’re in danger of our delusions causing us to do things that we should not. Next, the commentary says that suffering is the path to happiness, which we can relate to the Buddha’s teaching on the four noble truths—suffering, the origin of suffering, the cessation of suffering and the path to the cessation of suffering. What this means is that the experience of suffering can make us investigate its nature, see where it comes from, realize it can be ended and follow the path to its cessation and everlasting happiness. The idea that happiness is an obstacle to spiritual progress and suffering is useful may be found in the small, middle and great scopes of the lam-rim and is also found here in the mind training teachings. On the small scope we reflect that the usual happiness we experience is not genuine happiness but simply the appearance of happiness. When one type of suffering diminishes we have the impression, or mental appearance, of happiness, but it is not actual happiness, merely a reduction of one manifestation of suffering. By thinking about this, we gradually begin to practice refuge and so forth. On the middle scope we recognize that even were we to achieve the aim of the small scope—rebirth as a human or a god—the happiness we’d experience would also not be satisfactory or reliable because sooner or later it would come to an end. By thinking about this, we gradually work towards the happiness that completely transcends cyclic existence. The commentary then explains how on the great scope, for the sake of others, we willingly practice taking their suffering onto ourselves. It also says that if we don’t renounce our own personal happiness we’ll never be able to generate the mind dedicated to the benefit of others and if we can’t willingly accept difficulties we’ll never complete the practice of the six perfections. (d Requesting the Dharma protectors to provide conditions conducive for our mind training practice to improve. 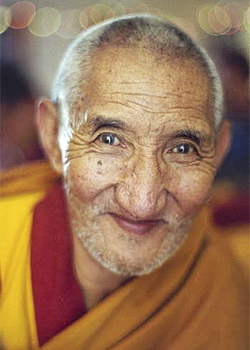 This is an excerpt from a teaching by Ribur Rinpoche given at Watsonville, CA in June, 2002. This is an excerpt from a teaching by Ribur Rinpoche at Watsonville, CA in June, 2002, translated by Fabrizio Palloti. Listen to this teaching online at Lam Rim Radio. The main reason why we are so obsessed with our own lives is because we have not equalized ourselves with others. We think we are different from others, but in reality we are the same, and everybody else is exactly like us. Just like us, everybody wants to be happy and does not want to suffer. Yet, we keep everybody else in a non-referential state that we don’t need to enquire about, and we are obsessed with ourselves. We need to do well, and we think, “I need to do this, I need to do that, I need to be happy, I need to get rid of this problem or that problem.” Others are totally incidental in this situation. This is the mistaken perception of the obsession that we have with ourselves. We have not realized the equality that is the actual reality for ourselves and others—that we are all the same. This is not an easy subject to grasp, and we need to work on it really hard. This is the thought process that we must apply in our meditation session. We need to analyze, “Why do I always want to be free from suffering?” The bottom line and the basic reason why we don’t want to suffer is just that —because we don’t like to suffer. It’s just that. We don’t like suffering and we try to avoid suffering. Just as we try to avoid suffering, so does everyone else. If we check everyone else, they are just the same as us. They don’t want to suffer, and the reason is because nobody likes to suffer. So, just as we don’t like to suffer, everybody else doesn’t like to suffer. Therefore, just as we should not suffer, in the same way, everybody else should not suffer. Why? Because they don’t like it. Do you understand? Therefore, why should we feel that we are more important than others? Why should we keep the focus on ourselves, as if we are more important, in a situation where we are all just the same? This is the reality. What is the difference between ourselves and others? There is a difference between ourselves and others—I am just one, and others are so many. There are six billion humans on this planet, and there are so many bugs, birds and other sentient beings. Like us, they don’t like to suffer and they just want to be happy. The big difference between ourselves and others is that they are much more important from the point of view of numbers. The quantity, the amount and the weight of the suffering of others is much bigger than the weight of the suffering that lies on ourselves alone, because we are one and others are limitless. This is another reason why it is totally meaningless to be constantly obsessed with ourselves as being the most important of all, when we are actually not. This is one way of thinking and meditating in order to equalize ourselves with others. On top of this, if we think from the point of view of nature, there is no difference. We are all sentient beings, in the nature of suffering and impermanence. We are all born and we are all going to die. We all go through struggles and suffering. From this point of view alone, we are equal and there is not the slightest reason to consider ourselves more important than others. But we should consider ourselves as the object of compassion and love, because we all have the same impermanent nature and we all have the same suffering. Our minds are contaminated with ignorance and delusions, without the slightest difference between any of us. We should debate this within ourselves over and over again, until we grasp the situation. Suddenly, we see, “For all this time, I’ve seen myself as more important, but it’s totally baseless for these reasons.” If we can grasp this and concentrate on this, and bring it to mind again and again until our mind is imbued with it, there is a transformation. Following the self-cherishing mind is the source of all our suffering. We need to identify that self-cherishing mind as a demon taking over our mind and make a strong determination with very strong mindfulness, thinking, “I’m going to get rid of it.” With this determination, make a request to the guru to bless us and help us get rid of egoism, self-cherishing, and the obsession with self and with me-first. Who has been leading us to all the trouble and suffering that we don’t want? Who has led us there? The self-cherishing mind, the self-centered thought that’s taken possession of our mind. The bottom line is, what is this attitude of self-cherishing? It is an attitude of considering ourselves as more important and better than everybody else, or needing to achieve more than everybody else—whether it is a possession, happiness or getting rid of problems, or whatever. It is that kind of attitude that leads us and is the very cause of all our problems. All goodness and happiness arises from wishing for others to be happy. Everything that runs smoothly and well in our lives comes from cherishing others. Whatever exists, requires causes and conditions—it doesn’t happen randomly. The same goes for our happiness. When we cherish others, we are generous and we don’t get angry with others—we practice patience, morality and non-harming. It is entirely up to us. If we don’t want to suffer, we have to cherish others. 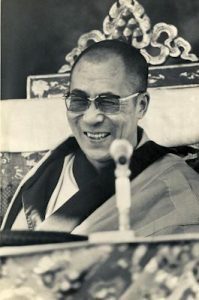 Geshe Lhundub Sopa (1923-2014), a great scholar from Sera Monastery renowned for his insight into the emptiness, was one of His Holiness the Dalai Lama's debate examiners in Tibet, 1959, just before fleeing the Chinese occupation of Tibet for India. He went to the USA in 1962 and joined the faculty of the University of Wisconsin, Madison, in 1967, where he remained until his recent retirement. He was the spiritual head of Madison's Deer Park Buddhist Center. Geshe Sopa gave this teaching at Tushita Mahayana Meditation Centre on July 30, 1980. It was first published in Teachings at Tushita, edited by Nicholas Ribush with Glenn H. Mullin, Mahayana Publications, New Delhi, 1981. Published in 2005 in the LYWA publication Teachings From Tibet. Objects of knowledge are many. Our lives will not last long and there are many directions in which we can channel them. Just as swans extract the essence from milk and spit out the water, so should we extract the essence from our lives by practicing discriminating wisdom and engaging in activities that benefit both ourselves and others in this and future lives. Every sentient being aspires to the highest state of happiness and complete freedom from every kind of suffering, but human aims should be higher than those of animals, insects and so forth because we have much greater potential; with our special intellectual capacity we can accomplish many things. As spiritual practitioners, we should strive for happiness and freedom from misery not for ourselves alone but for all sentient beings. We have the intelligence and the ability to practice the methods for realizing these goals. We can start from where we are and gradually attain higher levels of being until we attain final perfection. Some people can even attain the highest goal, enlightenment, in a single lifetime. We ignorantly destroy it, like an enemy. What we want and what we do are totally contradictory. The things we do to bring happiness actually cause suffering, misery and trouble. Shantideva says that even though we desire happiness, out of ignorance we destroy its cause as if it were our worst enemy. According to the Buddha’s teachings, first we must learn, or study. By asking if it’s possible to escape from suffering and find perfect happiness, we open the doors of spiritual inquiry and discover that by putting our effort and wisdom in the right direction, we can indeed experience such goals. This leads us to seek out the path to enlightenment. The Buddha set forth many different levels of teachings. As humans, we can learn these, not just for the sake of learning but in order to put the methods into practice. What is the cause of happiness? What is the cause of misery? These are important questions in Buddhism. The Buddha pointed out that the fundamental source of all our problems is the wrong conception of the self. We always hold on to some kind of “I,” some sort of egocentric thought, or attitude, and everything we do is based on this wrong conception of the nature of the self. This self-grasping gives rise to attachment to the “I” and self-centeredness, the cherishing of ourselves over all others, all worldly thoughts, and samsara itself. All sentient beings’ problems start here. This ignorant self-grasping creates all of our attachment to the “I.” From “me” comes “mine”—my property, my body, my mind, my family, my friends, my house, my country, my work and so forth. From attachment come aversion, anger and hatred for the things that threaten our objects of attachment. Buddhism calls these three—ignorance, attachment and aversion—the three poisons. These delusions are the cause of all our problems; they are our real enemies. We usually look for enemies outside but Buddhist yogis realize that there are no external enemies; the real enemies are within. Once we have removed ignorance, attachment and aversion we have vanquished our inner enemies. Correct understanding replaces ignorance, pure mind remains, and we see the true nature of the self and all phenomena. The workings of the illusory world no longer occur. When ignorance has gone, we no longer create mistaken actions. When we act without mistake, we no longer experience the various sufferings—the forces of karma are not engaged. Karma—the actions of the body, speech and mind of sentient beings, together with the seeds they leave on the mind—is brought under control. Since the causes of these actions—ignorance, attachment and aversion—have been destroyed, the actions to which they give rise therefore cease. Ignorance, attachment and aversion, together with their branches of conceit, jealousy, envy and so forth, are very strong forces. Once they arise, they immediately dominate our mind; we quickly fall under the power of these inner enemies and no longer have any freedom or control. Our inner enemies even cause us to fight with and harm the people we love; they can even cause us to kill our own parents, children and so forth. All conflicts—from those between individual members of a family to international wars between countries—arise from these negative thoughts. Shantideva said, “There is one cause of all problems.” This is the ignorance that mistakes the actual nature of the self. All sentient beings are similar in that they are all overpowered by this ego-grasping ignorance; however, each of us is also capable of engaging in the yogic practices that refine the mind to the point where it is able to see directly the way things exist. Buddha himself first studied, then practiced, and finally realized Dharma, achieving enlightenment. He saw the principles of the causes and effects of thought and action and then taught people how to work with these laws in such a way as to gain freedom. His first teaching was on the four truths as seen by a liberated being: suffering, its cause, liberation and the path to liberation.3 First we must learn to recognize the sufferings and frustrations that pervade our lives. Then we must know their cause. Thirdly we should know that it is possible to get rid of them, to be completely free. Lastly we must know the truth of the path—the means by which we can gain freedom, the methods of practice that destroy the seeds of suffering from their very root. There are many elaborate ways of presenting the path, which has led to the development of many schools of Buddhism, such as the Hinayana and Mahayana, but the teachings of the four truths are fundamental to all Buddhist schools; each has its own special methods, but all are based on the four truths. Without the four truths there is neither Hinayana nor Mahayana. All Buddhist schools see suffering as the main problem of existence and ignorance as the main cause of suffering. Without removing ignorance there is no way of achieving liberation from samsara and no way of attaining the perfect enlightenment of buddhahood. Buddhism talks a lot about non-self or the empty nature of all things. This is a key teaching. The realization of emptiness was first taught by the Buddha and then widely disseminated by the great teacher Nagarjuna and his successors, who explained the philosophy of the Middle Way—a system of thought free from all extremes. Madhyamikas, as the followers of this system are called, hold that the way things actually exist is free from the extremes of absolute being and non-being; the things we see do not exist in the way that we perceive them. As for the “I,” our understanding of its nature is also mistaken. This doesn’t mean that there is neither person nor desire. When the Buddha rejected the existence of a self he meant that the self we normally conceive does not exist. Yogis who, through meditation, have developed higher insight have realized the true nature of the self and seen that the “I” exists totally in another way. They have realized the emptiness of the self, which is the key teaching of the Buddha; they have developed the sharp weapon of wisdom that cuts down the poisonous tree of delusion and mental distortion. To do the same, we must study the teachings, contemplate them carefully and finally investigate our conclusions through meditation. In that way we can realize the true nature of the self. The wisdom realizing emptiness cuts the very root of all delusion and puts an end to all suffering; it directly opposes the ignorance that misconceives reality. Sometimes we can apply more specific antidotes—for example, when anger arises we meditate on compassion; when lust arises we meditate on the impurity of the human body; when attachment to situations arises we meditate on impermanence; and so forth. But even though these antidotes counteract particular delusions they cannot cut their root—for that, we need to realize emptiness. However, wisdom alone is not enough. No matter how sharp an axe is, it requires a handle and a person to swing it. In the same way, while meditation on emptiness is the key practice, it must be supported and given direction by method. Many Indian masters, including Dharmakirti and Shantideva, have asserted this to be so. For example, meditation upon the four noble truths includes contemplation of sixteen aspects of these truths, such as impermanence, suffering, and so forth. Then, because we must share our world with others there are the meditations on love, compassion and the bodhicitta, the enlightened attitude of wishing for enlightenment in order to be of greatest benefit to others. This introduces the six perfections, or the means of accomplishing enlightenment—generosity, discipline, patience, energy, meditation and wisdom. The first five of these must act as supportive methods in order for the sixth, wisdom, to become stable. To attain buddhahood the obstacles to the goal have to be completely removed. These obstacles are of two main types: obstacles to liberation, which include the delusions such as attachment, and obstacles to omniscience. When the various delusions have been removed, one becomes an arhat. In Tibetan, arhat [dra-chom-pa] means one who has destroyed [chom] the inner enemy [dra] and has thus gained liberation from all delusions. However, such liberation is not buddhahood. An arhat is free from samsara, from all misery and suffering, and no longer forced to take a rebirth conditioned by karma and delusion. At present we are strongly under the power of these two forces, being reborn again and again, sometimes higher, sometimes lower. We have little choice or independence in our birth, life, death and rebirth. Negative karma and delusion combine and overpower us again and again. Our freedom is thus greatly limited. It is a circle: occasionally rebirth in a high realm, then in a low world; sometimes an animal, sometimes a human or a god. This is what samsara means. Arhats have achieved complete liberation from this circle; they have broken the circle and gone beyond it. Their lives have become totally pure, totally free. The forces that controlled them have gone and they dwell in a state of emancipation from compulsive experience. Their realization of shunyata is complete. On the method side, the arhat has cultivated a path combining meditation on emptiness with meditation on the impermanence of life, karma and its results, the suffering nature of the whole circle of samsara and so forth, but arhatship does not have the perfection of buddhahood. Compared to our ordinary samsaric life, arhatship is a great attainment, but arhats still have subtle obstacles. Gross mental obstacles such as desire, hatred, ignorance and so forth may have gone but, because they have been active forces within the mind for so long, they leave behind subtle hindrances—subtle habits, or predispositions. For example, although arhats will not have anger, old habits, such as using harsh words, may persist. They also have a very subtle self-centeredness. Similarly, although arhats will not have ignorance or wrong views, they will not see certain aspects of cause and effect as clearly as a buddha does. Such subtle limitations are called the obstacles to omniscience. In buddhahood, these have been completely removed; not a single obstacle remains. There is both perfect freedom and perfect knowledge. A buddha has a cause. The cause is a bodhisattva. The bodhisattva trainings are vast: generosity, where we try to help others in various ways; patience, which keeps our mind in a state of calm; diligent perseverance, with which, in order to help other sentient beings, we joyfully undergo the many hardships without hesitation; and many others. Before attaining buddhahood we have to train as a bodhisattva and cultivate a path uniting method with wisdom. The function of wisdom is to eliminate ignorance; the function of method is to produce the physical and environmental perfections of being. With the ripening of wisdom and method comes the fruit: the wisdom and form bodies of a buddha. The form body, or rupakaya, has two dimensions—sambhogakaya and nirmanakaya—which, with the wisdom body of dharmakaya, constitute the three kayas. The form bodies are not ordinary form; they are purely mental, a reflection or manifestation of the dharmakaya wisdom. From perfect wisdom emerges perfect form. As we can see from the above examples, the bodhisattva’s activities are based on a motivation very unlike our ordinary attitudes, which are usually selfish and self-centered. In order to attain buddhahood we have to change our mundane thoughts into thoughts of love and compassion for other sentient beings. We have to learn to care, all of the time, on a universal level. Our normal self-centered attitude should be seen as an enemy and a loving and compassionate attitude as the cause of the highest happiness, a real friend of both ourselves and others. The Mahayana contains a very special practice called “exchanging self for others.” Of course, I can’t change into you or you can’t change into me; that’s not what it means. What we have to change is the attitude of “me first” into the thought of cherishing of others: “Whatever bad things have to happen let them happen to me.” Through meditation we learn to regard self-centeredness as our worst enemy and to transform self-cherishing into love and compassion, until eventually our entire life is dominated by these positive forces. Then everything we do will become beneficial to others; all our actions will naturally become meritorious. This is the influence and power of the bodhisattva’s thought—the bodhi mind, the ultimate flowering of love and compassion into the inspiration to attain enlightenment for the benefit of all other sentient beings. Love and compassion have the same basic nature but a different reference or application. Compassion is mainly in reference to the problems of beings, the wish to free sentient beings from suffering, whereas love refers to the positive side, the aspiration that all sentient beings have happiness and its cause. Our love and compassion should be equal towards all beings and have the intensity that a loving mother feels towards her only child, taking upon ourselves full responsibility for the well-being of others. That’s how bodhisattvas regard all sentient beings. However, the bodhi mind is not merely love and compassion. Bodhisattvas see that in order to free sentient beings from misery and give them the highest happiness, they themselves will have to be fully equipped, fully qualified—first they will have to attain perfect buddhahood, total freedom from all obstacles and limitations and complete possession of all power and knowledge. Right now we can’t do much to benefit others. Therefore, for the benefit of other sentient beings, we have to attain enlightenment as quickly as possible. Day and night, everything we do should be done in order to reach perfect enlightenment as soon as we can for the benefit of others. The thought characterized by this aspiration is called bodhicitta, bodhi mind, the bodhisattva spirit. Unlike our usual self-centered, egotistical thoughts, which lead only to desire, hatred, jealousy, pride and so forth, the bodhisattva way is dominated by love, compassion and the bodhi mind, and if we practice the appropriate meditative techniques, we ourselves will become bodhisattvas. Then, as Shantideva has said, all our ordinary activities—sleeping, walking, eating or whatever—will naturally produce limitless goodness and fulfill the purposes of many sentient beings. A bodhisattva’s life is very precious and therefore, in order to sustain it, we sleep, eat and do whatever else is necessary to stay alive. Because this is our motivation for eating, every mouthful of food we take gives rise to great merit, equal to the number of the sentient beings in the universe. In order to ascend the ten bodhisattva stages leading to buddhahood we engage in both method and wisdom: on the basis of bodhicitta we cultivate the realization of emptiness. Seeing the emptiness of the self, our self-grasping ignorance and attachment cease. We also see all phenomena as empty and, as a result, everything that appears to our mind is seen as illusory, like a magician’s creations. When a magician conjures up something up, the audience believes that what they see exists. The magician, however, although sees what the audience sees, understands it differently. When he creates a beautiful woman, the men in the audience experience lust; when he creates a frightening animal, the audience gets scared. The magician sees the beautiful woman and the scary animals just as the audience does but he knows that they’re not real, he knows that they’re empty of existing in the way that they appear—their reality is not like the mode of their appearance. Similarly, bodhisattvas who have seen emptiness see everything as illusory and things that might have caused attachment or aversion to arise in them before can no longer do so. By combining the twofold cause of method and wisdom, bodhisattvas gain the twofold effect of the mental and physical bodies [rupakaya and dharmakaya] of a buddha. Their accumulation of meritorious energy and wisdom bring them to the first bodhisattva stage, where they directly realize emptiness and overcome the obstacles to liberation. They then use this realization to progress through the ten bodhisattva levels, eventually eradicating all obstacles to omniscience. They first eliminate the coarse level of ignorance and then, through gradual meditation on method combined with wisdom, attain the perfection of enlightenment. The main subjects of this discourse—renunciation, emptiness and the bodhi mind—were taught by the Buddha, Nagarjuna and Tsongkhapa and provide the basic texture of the Mahayana path. These three principal aspects of the path are like keys for those who want to attain enlightenment. In terms of method and wisdom, renunciation and the bodhi mind constitute method and meditation on emptiness is wisdom. Method and wisdom are like the two wings of a bird and enable us to fly high in the sky of Dharma. Just as a bird with one wing cannot fly; in order to reach the heights of buddhahood we need the two wings of method and wisdom. The principal Mahayana method is the bodhi mind. To generate the bodhi mind we must first generate compassion—the aspiration to free sentient beings from suffering, which becomes the basis of our motivation to attain enlightenment. However, as Shantideva pointed out, we must begin with compassion for ourselves. We must want to be free of suffering ourselves before being truly able to want it for others. The spontaneous wish to free ourselves from suffering is renunciation. But most of us don’t have it. We don’t see the faults of samsara. However, there’s no way to really work for the benefit of others while continuing to be entranced by the pleasures and activities of samsara. Therefore, first we have to generate personal renunciation of samsara—the constant wish to gain freedom from all misery. At the beginning, this is most important. Then we can extend this quality to others as love, compassion and the bodhi mind, which combine as method. When united with the wisdom realizing emptiness, we possess the main causes of buddhahood. Of course, to develop the three principal aspects of the path, we have to proceed step by step. Therefore it’s necessary to study, contemplate and meditate. We should all try to develop a daily meditation practice. Young or old, male or female, regardless of race, we all have the ability to meditate. Anybody can progress through the stages of understanding. The human life is very meaningful and precious but it can be lost to seeking temporary goals such as sensual indulgence, fame, reputation and so forth, which benefit this life alone. Then we’re like animals; we have the goals of the animal world. Even if we don’t make heroic spiritual efforts, we should at least try to get started in the practices that make human life meaningful. Q. Could you clarify what you mean by removing the suffering of others? Geshe Sopa: We are not talking about temporary measures, like hunger or thirst. You can do acts of charity with food, medicine and so forth, but these provide only superficial help. Giving can never fulfill the world’s needs and can itself become a cause of trouble and misery. What beings lack is some kind of perfect happiness or enjoyment. Therefore we cultivate a compassion for all sentient beings that wishes to provide them with the highest happiness, the happiness that lasts forever. Practitioners, yogis and bodhisattvas consider this to be the main goal. They do give temporary things as much as possible, but their main point is to produce a higher happiness. That’s the bodhisattva’s main function. Q. Buddhism believes strongly in past and future lives. How is this consistent with the idea of impermanence taught by Buddha? Geshe Sopa: Because things are impermanent they are changeable. Because impurity is impermanent, purity is possible. Relative truth can function because of the existence of ultimate truth. Impurity becomes pure; imperfect becomes perfect. Change can cause conditions to switch. By directing our life correctly we can put an end to negative patterns. If things were not impermanent there would be no way to change and evolve. In terms of karma and rebirth, impermanence means that we can gain control over the stream of our life, which is like a great river, never the same from one moment to the next. If we let polluted tributaries flow into a river it becomes dirty. Similarly, if we let bad thoughts, distorted perceptions and wrong actions control our lives, we evolve negatively and take low rebirths. If, on the other hand, we control the flow of our life skillfully, we’ll evolve positively, take high rebirths and perhaps even attain the highest wisdom of buddhahood—the coming and going of imperfect experiences will subside and the impermanent flow of pure perfection will come to us. When that happens we’ll have achieved the ultimate human goal. Q. In the example of the river, its content is flowing water, sometimes muddy, sometimes clear. What is the content of the stream of life? Geshe Sopa: Buddhism speaks of the five skandhas: one mainly physical, the other four mental. There is also a basis, which is a certain kind of propensity that is neither physical nor mental, a kind of energy. The five impure skandhas eventually become perfectly pure and then manifest as the five Dhyani Buddhas. Q. What is the role of prayer in Buddhism? Does Buddhism believe in prayer, and if so, since Buddhists don’t believe in a God, to whom do they pray? Geshe Sopa: In Buddhism, prayer means some kind of wish, an aspiration to have something good occur. In this sense, a prayer is a verbal wish. The prayers of buddhas and bodhisattvas are mental and have great power. Buddhas and bodhisattvas have equal love and compassion for all sentient beings and their prayers are to benefit all sentient beings. Therefore, when we pray to them for help or guidance they have the power to influence us. As well as these considerations, prayer produces a certain kind of buddha-result. Praying does not mean that personally you don’t have to practice yourself; that you just leave everything to Buddha. It’s not like that. The buddhas have to do something and we have to do something. The buddhas cannot wash away our stains with water, like washing clothing. The root of misery and suffering cannot be extracted like a thorn from the foot—the buddhas can only show us how to pull out the thorn; the hand that pulls it out must be our own. Q. Sometimes in meditation we visualize Shakyamuni Buddha. What did he visualize when he meditated? 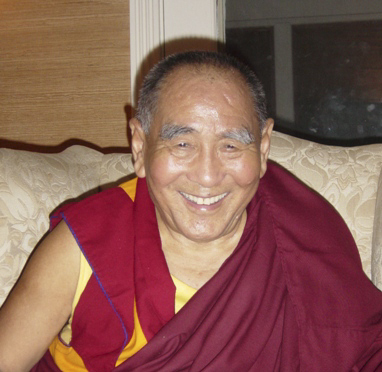 Geshe Sopa: What should we meditate upon? How should we meditate? Shakyamuni Buddha himself meditated in the same way as we teach: on compassion, love, bodhicitta, the four noble truths and so forth. Sometimes he also meditated on perfect forms, like that of a buddha or a particular meditational deity. These deities symbolize perfect inner qualities and through meditating on them we bring oursleves into proximity with the symbolized qualities. Both deity meditation and ordinary simple meditations tame the scattered, uncontrolled, elephant-like mind. The wild, roaming mind must be calmed in order to enter higher spiritual practices. Therefore, at the beginning, we try to stabilize our mind by focusing it on a particular subject. This is calm abiding meditation and its main aim is to keep our mind focused on a single point, abiding in perfect clarity and peace for as long as we wish without any effort, wavering or fatigue. As for the object to be visualized in this type of meditation, there are many choices: a candle, a statue, an abstract object and so forth. Since the form of an enlightened being has many symbolic values and shares the nature of the goal we hope to accomplish, visualizing such an object has many advantages. But it is not mandatory; we can choose anything. The main thing is to focus the mind on the object and not allow it to waver. Eventually we’ll be able to meditate clearly and peacefully for as long as we like, remaining absorbed for even days at a time. This is the attainment of calm abiding. When we possess this mental instrument, every other meditation we do will become much more successful. When we first try this kind of practice we discover that our mind is like a wild elephant, constantly running here and there, never able to focus fully on or totally engage in anything. Then, little by little, through practice and exercise, it will become calm and even concentrating on a simple object like breathing in and out while counting will demonstrate the wildness of the mind and the calming effects of meditation.